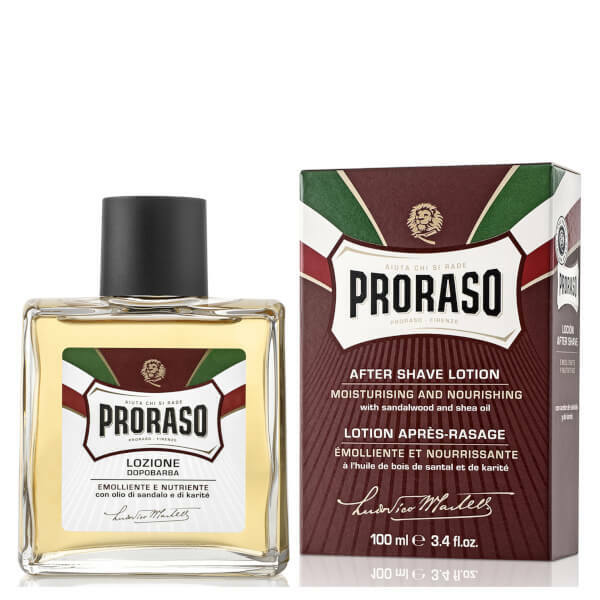 Ideal for coarse beards and dry skin, the Proraso After Shave Lotion provides immediate relief from razor burn and helps condition stubborn hair. Enriched with Shea Oil and Sandalwood, the lightweight, non-greasy formula works to moisturise skin for a smooth shave and alleviate the look of redness. Presented in iconic Proraso packaging, the lotion leaves skin feeling soft and supple with a subtle, masculine scent.